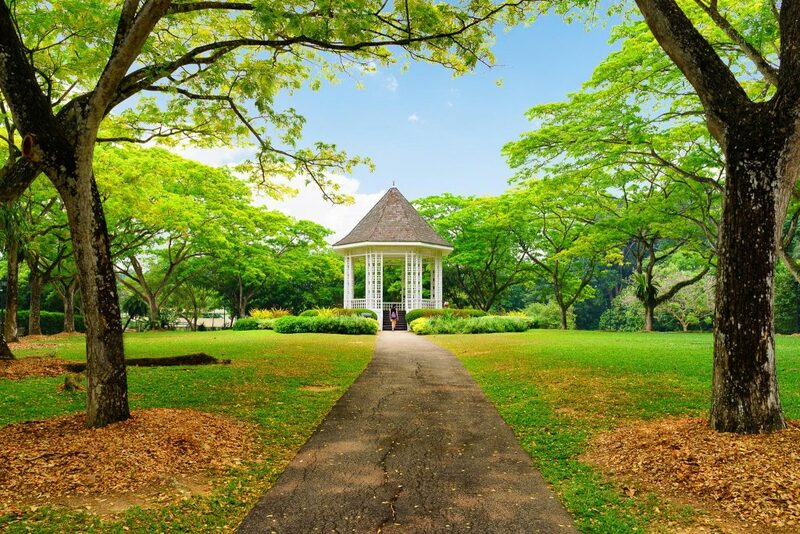 Singapore’s tropical climate and abundant rainfall provide the perfect environment for lush vegetation to thrive, so it is no surprise that it is home to some beautiful parks and gardens. These green spaces also provide valuable space for visitors to relax and for locals to take some time out from busy lives. The award-winning Gardens by the Bay are made up of three vast waterfront gardens, bursting with rare flowers and boasting vertical gardens (aka ‘Supertrees’), and intriguing sculptures from around the world. The renowned Supertree structures offer an impressive skywalk over the gardens. Visit during the evening to experience the enchanting Garden Rhapsody light and music show, which takes place here, or soak up the ambience in the delightful tree-top roofless bar. There are over one million plants here housed in different zones such as the Flower Dome, Sun Pavilion or Cloud Forest. These elegant gardens were founded in 1859, at the suggestion of Sir Stamford Raffles, and are landscaped in the English style. They have played an important role in the history of Singapore, and in particular in fostering agricultural development in the region, through growing and experimenting with new and useful plants. 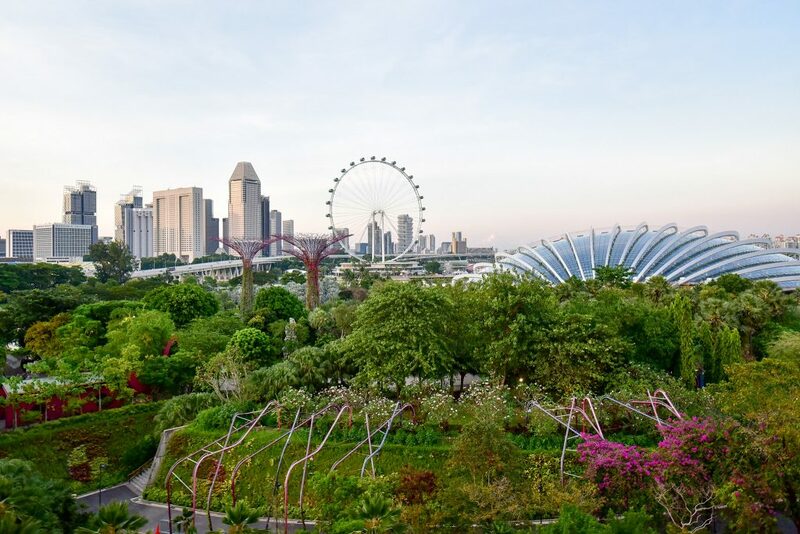 Don’t miss the National Orchid Garden, or the Learning Forest, which provides a refuge for fauna native to Singapore and the surrounding region. Try to catch the Singapore Symphony Orchestra giving one of its free classical concerts in the idyllic surroundings of Symphony Lake. Children will be entranced by the four-hectare Jacob Ballas Children’s Garden, a place to play and learn about plant life. The East Coast Park is the place to enjoy the sea breeze and relax – whether that means enjoying a beachfront picnic or indulging in some extreme sports at the world-class Xtreme SkatePark. You’ll certainly be in good company, with some seven million locals and tourists visiting each year! The attractive 15-kilometre stretch of beach is enjoyed by cyclists, roller-bladers and water sports enthusiasts alike. To find out more refer to the Top sites to visit section. 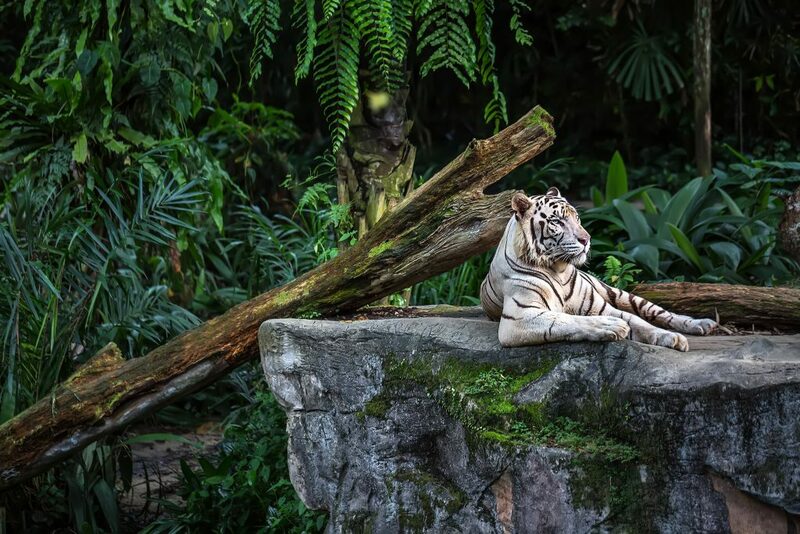 Singapore Zoo is anything but typical! It is set in a rainforest environment and is renowned for its ‘open’ concept, where animals live in a spacious environment, as close as possible to their natural habitat. It is spread over a vast area of some 26 hectares, which are home to over 2,800 animals of 300 different species. River Safari is the only wildlife park of its kind in Asia, and is home to over 6000 animals, including the Chinese salamander, the world’s largest amphibian, and the endangered giant Mekong catfish, which can grow up to two metres long. Don’t forget to visit the Giant Panda Forest, to say ‘hello’ to Kai Kai and Jia Jia. This sprawling park, set in a western corner of Singapore, is home to an astonishing 5000 birds. Check out the Waterfall Aviary and don’t miss the Kings of the Skies Show to see the birds of prey in action. There’s even a bird-themed water playground to keep the children entertained!